on hand for the stretch run of the campaign. 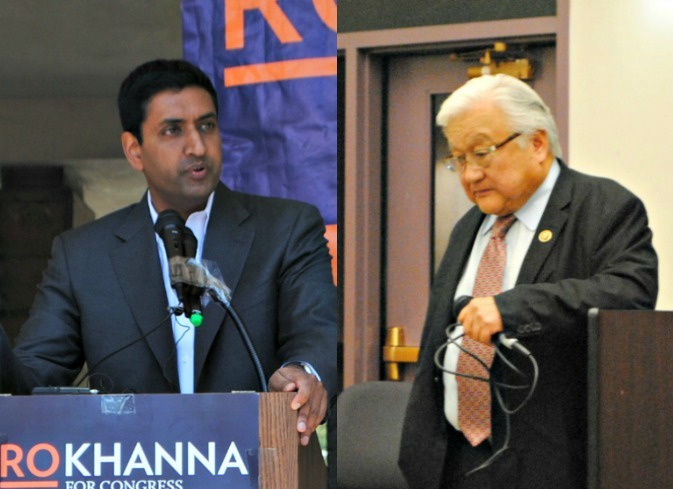 Democratic congressional candidate Ro Khanna had one lament from his 2014 loss to fellow Democrat Rep. Mike Honda: He should have saved more of his once over-flowing campaign cache for the waning weeks before Election Day. Khanna’s campaign has more than $1.5 million in cash reserves for the last month of the 2016 rematch with Honda, according to third quarter federal campaign finance reports. The figure is nearly double Honda’s $849,008 in cash on hand, through the end of September, according to the incumbent’s latest finance report. Honda, however, outraised Khanna during the third quarter with $509,547 in contributions. Khanna posted $444,355, according to the reports. Honda also greatly outspent Khanna during the same three-month summer reporting period. Honda’s expenditures for the quarter totaled $611,212 as opposed to Khanna’s $326,906. For the year, Honda has spent nearly $2 million in his effort to defeat Khanna for a second time. Khanna is close behind with $1,816,660 in expenditures for this election cycle. During the 2014 campaign, a less known Khanna spent heavily early in order to introduce himself to 17th District voters. And Khanna had much to spend in a race, like the current one, in which he consistently outraised Honda. However, the large scale expenditures through the summer and fall of 2014 sapped Khanna’s campaign treasury. When Honda’s campaign made its move in October with a number of mailers and television commercials, Khanna’s campaign had little money to forcefully respond. Posted in 2014 Election, 2016 Election, CA17, campaign finance reports, congress, contributions, FEC, Mike Honda, Ro Khanna. Bookmark the permalink.